FM is never dull. The past 10 years have seen companies come and go, contracts won and lost, people changing jobs, new legislation, shifts in market dynamics and much more. In the midst of all this action, i-FM remains the industry’s leading news and information service. We track what’s going on and update the site daily. That means your information is always current – and if you want to know more later, you can search our vast archives at any time on any keyword or named topic. It's hard to credit looking back, but when i-FM started reporting in mid 1999 the internet was not just a new idea in many quarters; it was actually the object of some suspicion. At our kick-off event, a sponsored debate held as part of the 'Futures in Property and Facilities Management' conference at University College London, there were expressions of concern that FMs were being left behind as new technology was taking off. Wayne Felton, former MD at Johnson Controls, warned that facilities management was not moving fast enough, and a speaker from the floor observed that just as some companies refused to work with suppliers that did not use email they would soon be extending that prohibition to companies not online. Internet technology, we said, would be the FM's key to efficiency, productivity, better customer servicing and much more. Prescient, as always. Another concern that year – perhaps even harder to credit now – was the possibility of technological meltdown caused by the arrival of the new millennium, an issue captured in the label Y2K. Research was showing that many companies were lagging behind on regulatory guidelines. "300 of Britain's largest businesses are playing Russian roulette with the millennium bug," said compliance watchdog Robin Guenier. "These businesses are not just a danger to themselves and their trading partners - they threaten the economy: jobs, growth and public confidence." Hmmm…maybe. Also drawing criticism was the still new concept of 'corporate PFI', basically a strategy for outsourcing property assets. Trade magazine Property Week had described it as 'an item on every board's agenda'. But that didn't mean it was always the right decision. In June, SmithKline Beecham (as it was then) pulled out of a £200m HQ contract, following Cable & Wireless Communications which had retreated from a deal that would have encompassed their entire UK operation. That decision in turn followed computer company ICL's 1998 decision not to outsource its 120-property estate. Complexity, price and worries about future needs seemed to be putting companies off. One theme that characterises our entire decade of reporting on UK FM is acquisition. In a move typical of the sector, Amey, with roots in construction and engineering, spent £86m to buy Comax, a defence agency spin-off. The deal would propel Amey into the premier support services league, said its Chairman at the time. In another significant move on the commercial front, BT confirmed that an initial RFI for Project Jaguar, its plan for extensive outsourcing of FM, had attracted 'much greater interest than expected'. • Trillium (Goldman Sachs, George S Hall, MITIE and Sutcliffe). STEPS would involve the transfer of about 750 properties into the hands of the winner, along with a 20-year management contract. The remainder of the year saw considerable discussion around a series of key issues that proved to have some staying power, including call centres (were these to be latter-day satanic mills or thriving sites of job creation? ), videoconferencing (with the technology improving, was the market ready? ), workplace legislation (due for initial implementation on October 1st was the Disability Discrimination Act) and the environment (pending legislation here too pointed towards the need for action). The new millennium dawned with no massive Y2K collapse; indeed, no problems on that score to speak of. Central government, therefore, felt free to turn its attention to another thorny subject - accommodation strategy, specifically what Cabinet Office Minister Ian McCartney called 'modern working practices' and their likely impact on future property requirements. This would prove to be a recurring theme, in part because of slow progress towards any significant change. And it was not entirely coincidental that Peter Gershon was named as Chief Executive at the new Office of Government Commerce. In line with fresh thinking about improving public sector efficiency and effectiveness, OGC was created to help get more value from the government's £13bn annual civil procurement budget. Meanwhile, in the private sector Jeremy Waud, Managing Director of the OCS Group's Select Facilities Services, was announcing the launch of new offices in Cardiff, Manchester and Glasgow in a bid to take operations nationwide. In that public/private cross-over market, PFI, Jarvis (then positioning itself as an 'international facilities management group') announced it had been selected by Kirklees Council as preferred partner on a 30-year 20-school contract. This was one of five pilot projects designed to develop innovative solutions in the local education sector. In a somewhat more interesting application of PFI, plans for a new GCHQ building in Cheltenham got the go-ahead. The 30-year contract would cover construction, as well as maintenance and services including security, catering and cleaning. But not everyone was a fan of PFI – another recurring theme down the years. Economists at the Institute for Public Policy Research declared that the programme was unnecessary. "The macro fiscal argument for PFI was always weak," they said – and went on to add that reported cost savings might be exaggerated anyway. Early in the spring came news of two name changes. Gardner Merchant became Sodexho (still with the 'h' in those days). The UK business joined the French group in 1995 and the time was now right, the Chief Exec said, to begin repositioning the company in line with its multi-service capabilities. In the second such move, Symonds FM became Dalkia Workplace Services, bringing it closer to its parent Dalkia Group and its sister service companies, all part of another French business. Elsewhere in the foodservice sector, Granada announced plans to merge with Compass in a multi-billion pound deal that would see the creation of a much bigger force in contract catering and the splitting off of media interests (Granada TV, London Weekend Television etc) into a separate operation. And elsewhere in the media sector much excitement followed an announcement from the BBC that it was looking for a commercial partner to take responsibility for the 'ownership, development, management and operation' of its White City complex in London. To stretch the point a bit, it had in mind a 'corporate PFI' type strategy lasting 20 or 30 years. Most of the major FM players said they were at least interested in knowing more. • Trillium (backed by Land Securities). A number of the same players had been on the shortlist for BT's Project Jaguar, which we learned in the spring had been won by a consortium led by Carillion. Later it emerged that the consortium had named itself Monteray and was to be organised around regional service needs – to be met by Carillion Services, Haden Building Management and Reliance Integrated Services, supplemented by MITIE and Rentokil Initial. The 'evergreen' contract, covering maintenance and FM services for a vast portfolio, had an estimated value of £500m and was expected to deliver savings of more than £200m over five years to BT. On the professional side of the business, it was announced that Sir Antony Walker, Director General of the British Institute of Facilities Management, was to step down due to illness. Previous Chairman Lionel Prodgers was parachuted in to assist then-current Chairman Ian Fielder in running the operation amidst talk of 'weaknesses in accounting practices' and an acknowledged dire financial position. Later, the soon-to-be-established IFMA UK Chapter unveiled its website for local members while founding fathers Mike Liddle, Martin Pickard, Alistair Edie and Keith Pratt made plans for the formal launch at World Workplace, a highlight of the Glasgow calendar in 2000. The team behind the initiative said: "The hole left by Global FM [that's the original Global FM – don't get me started] needs to be filled and the needs of members for a truly international dimension to their thinking can be best supported by beginning the process to establish a chapter in the UK." In another significant development on the professional front, Asset Information, publisher of the monthly Facilities Management Legal Update, launched its new website Workplacelaw.net. Director David Sharp said: "The aim is to get legal news - in plain English - to the people on the frontline who really need it, so that they can be aware of their exposure to risks." The second half of the year saw a series of notable developments in the commercial sector. Martin Pickard, previously Head of Property and Business Services for Cellnet joined Citex Group as Managing Director of Property and Facilities. "I want to use this platform as a leading supplier to address directly the numerous challenges I have previously thrown to the industry as a client," he said, adding: "I believe we are on the brink of a whole new era as the outsourcing of business infrastructure management takes shape." Mapeley was named as preferred bidder for the Inland Revenue/Customs & Excise STEPS outsourcing project. The deal would effectively see the private sector partner provide the government departments with serviced accommodation for 20 years. Later, Mapeley also did a deal to acquire Abbey National’s property portfolio, both freehold and leasehold, for £457m – again offering services over 20 years. And much later, it would emerge that the Inland Revenue's business partner was based in the tax haven of Bermuda, causing amusement and anger in about equal measure. Finally, the three-year-old outsourcing company Trillium sold itself to property company Land Securities for £160m in cash and an additional £5m in shares. Trillium had been formed to bid for the government's PRIME property outsourcing contract, which it won. It had been working with Land Securities for months on joint venture bids for the BBC and London Underground. The year closed with two landmarks for i-FM. First, the launch of our pioneering industry rankings – which started out as the Top 20. In 2000, Serco topped the list on turnover, followed by Jarvis Facilities Management at number two and ISS UK at number three. Then, thanks to initiatives like that, i-FM won the year's Golden Web Award, presented after a detailed review by the International Association of Web Masters and Designers. New Year; new opportunities for FM professionals. In January, Eurica Managing Director Fred Guscott was named as the first chairman of the RICS FM Faculty. The 7,000-member group planned to 'take on a leadership role'. Looking to a wider stage, Ed Lyons, President and CEO of property and facilities services company Trammell Crow Savills, declared: "For the first time we can talk about global outsourcing as a deliverable." "We are the only outsourcing company able to deliver the vision," he added; a claim that would prove premature. Then, as if to demonstrate that big companies were thinking in terms of complementary solutions for their property and facilities needs, BT revealed that it had selected a 50:50 joint venture between Land Securities Trillium and the William Pears Group - to be called Telereal - as preferred bidder to manage a massive property portfolio. The decision followed soon after LST's appointment as preferred bidder at the BBC. In more good news on the provider side, FM company Stiell reported a 52% increase in turnover (to £84.5m), complemented by earnings growth of 57%. The company said it was securing longer and higher value contracts at the same time that its sister IT business was also growing. In the support services realm, MacLellan bought cleaning contractor Ramoneur for £5m, swelling the group's turnover by £20m and its workforce by 2300. But as summer arrived, it was clear that news in the sector was not all positive. Property services company Chesterton, parent to FM provider Chesterton Workplace Management, issued a profit warning after a sluggish real estate market began to take its toll on business. The FM division was said to be doing well, but there would be more trouble to follow. Not long after came the news that Sulzer Infra CBX, the company formed when the Swiss Sulzer group bought UK FM pioneer CBX, was to be repositioned and rebranded as Axima FM. Presented in positive terms, this didn't quite hide the fact that the move was another step in the breaking up and dilution of a once important business. Observers concluded that Sulzer had simply misjudged both the market and what it was buying when it acquired CBX in 1998. Positive things continued to happen, however. For one, the inaugural competition for the i-FM e-business Award was launched. The now annual competition was open to all companies and organisations exploiting new technologies, particularly the internet, to improve business processes and performance. We also redesigned the site, substantially increased our content and moved to a licensed subscriber model, all driven by a growing demand for our service. Early in the autumn, Serco revealed another set of strong figures and said it planned to increase its focus on expanding in the public sector. EMCOR formally launched its facilities services division, saying it already had a £500m order book in the UK. Chairman Jeff Levy declared it was the only organisation of its kind, that is, one that offered comprehensive M&E contracting and facilities services. Taylor Woodrow named Richard Sykes as Director responsible for the FM division. Sykes, who joined TW in 1990, had worked in the division for five years before taking charge. And over at OCS, another old hand, Jeremy Waud, revealed he was stepping down as MD of the Select FM business in order to set up on his own. Bill Pollard, previously Operations Director at Select, went with him. Coincidentally or not, OCS announced a couple of months later that it was carrying out a 'radical restructuring' to create a single company in place of its then-current complex offering of single services. Group MD Chris Cracknell said the business was too 'bureaucratic and inwardly focused' to take full advantage of the opportunities offered by growing trend towards larger and more complex support services contracts. 2001 had started with Trammell Crow Savills declaring that global outsourcing was a real possibility. But just a year later a research report poured cold water on the idea. Having studied the European FM landscape, consultants Landmark FMC concluded that only one or two providers had the ability to offer a credible service across even that more limited setting. The market remained in its infancy at best, they argued. But here at home things were looking good. Carillion, commenting on its performance over the past 12 months, noted that profits from its services operations were set to outstrip those from construction activity. And that's the way things were likely to stay: over 80% of its order book was in non-construction business. Not long afterwards, Interserve reported strong growth in FM and set out its strategy to build and strengthen its position as a support services business. Over at Compass, that view of the future was shared – albeit from a different starting point. The foodservices provider confirmed that it had applied to change its stock exchange classification from Leisure, Entertainment and Hotels to Support Services. But the rush to services upset analysts at one bank, which opined that the sector no longer made sense. They were particularly confused when it came to understanding and classifying facilities management. Didn't it belong in construction? Or maybe property? The industry took little notice of these problems. At Profectus, for example, where the expression 'growing like Topsy' accurately summarised recent history, MD Mike McGeever went to some length to point out that a stream of announcements regarding acquisitions, joint ventures and new appointments did actually reflect a clear strategy for the business. McGeever was looking towards flotation within the year. All was on target, he said. Just a couple of months after leaving OCS, Jeremy Waud unveiled his new strategy: Incentive FM – so named because the business aimed to incentivise both sides of the client/provider equation to achieve enhanced service standards and reduced costs. But the big news of the first quarter was that Alfred McAlpine, then still mainly a construction group, was buying FM and IT business Stiell for £85m. Stiell Facilities had been growing at about 30% a year: what better way to get firmly into the services sector? And after much to-ing and fro-ing, and not a little union involvement, Balfour Beatty finally looked like sealing a deal to buy a 49% stake in Romec, the services business operated by Consignia (as Royal Mail wanted to be called in those days). 5,000 employees were to transfer to the new joint venture. Balfour Beatty was enthusiastic, but the unions were sceptical. Spring brought the headline 'ISS buys CSFM and seven others'. It no longer matters who or what CSFM was (a £33m support services business, in case you still want to know). The headline itself says it all about ISS: a well-run group with a clear ambition to demonstrate growth across the world – and setting something of a record for its highly acquisitive nature. Changes were also underway at another player with global ambitions: Johnson Controls. There, restructuring brought the rapidly developing FM business into the established controls group, which was subsequently renamed Facility Management Solutions. Adjustments in European operations saw former director of FM business development Guy Holden take on the leadership role, triggering the departure of MD Don Kenny (who would re-emerge at Carillion in short order). Change of another sort elsewhere with the news that Martin Pickard had left Citex to become CEO of Reliance Integrated Services. His challenge, it was said, was to bring further integration to the business itself and to raise its profile. Not long after, Citex Management Services was sold to Carillion for £11.5m. Meanwhile Reliance was keeping a close eye on Chesterton, where it held a 16% stake. The loss-making property and services company was considering takeover approaches by a number of interested parties. Early summer found the BIFM announcing record profits at its annual general meeting together with strong reserves, putting the previous year's deficit well in the past. There had been some clear-out of staff and subscription fees had been put up by 30%, but membership reached the new record of 7500. Also that summer, though it didn't seem particularly important at the time, the property arm of water and power company United Utilities made a significant commitment to FM, bringing in a new director and a head of business development, as it made plans to expand its service offer and geographical coverage. The business they built up would be the subject of an important buy six years later. The sector saw another new venture with the decision of construction services firm Mace to back the launch of a facilities management company to be headed by ex-CBX director Bill Heath. "Facilities organisations need to be more creative. We will certainly offer operational management, but I believe lifecycle planning and a facilities input to design will be as important," Heath said, setting out his plans for Macro. As autumn drew in, it emerged that Amey was in some financial trouble and had called in specialists to advise it on the options. The result was the sale of a PFI portfolio and substantial write-downs. But business was said to be still strong in both the business process and transport sectors. This was a year in which news broke on a series of stories that had been boiling away, largely below the surface, for quite some time. First came the report that the US subsidiary of serviced office provider Regus had filed for Chapter 11 bankruptcy protection. The problems spread right through the group, as there were guarantees in place regarding leasehold liabilities. Regus said it planned to use the provisions of the law to give it the time to reorganise itself. Not long after came the news that Chesterton Chief Executive Lorraine Baldry had been shown the door, her hasty departure caused by a failure to come up with a satisfactory sales deal for the struggling business. She was replaced by a new Chief Exec, and a new Chief Operating Officer was also appointed. Staying with the same theme, by mid-year Profectus was admitting to trouble. At least one part of the business appeared to be heading for receivership following long-running problems on a major contract with NTL, which resulted in severe cashflow problems. Chief Executive Mike McGeever said he was now hoping to sell the viable parts of the group. Two initiatives were also announced that would have significant implications for the sector. First, it emerged that moves were underway to develop a European standard for facilities management – in fact, two standards: one covering terms and definitions, and another addressing processes, quality, value and risk. The whole job was scheduled for completion in three years' time. Back in the UK, the Security Industry Authority was formally established. Its remit was regulation of the private security sector and specifically the licensing of guards. The industry generally welcomed the move, but the licensing process would turn out to be more time-consuming and more costly than anyone realised. In the summer, the FM community was given a nice boost by the architectural profession. One of the conclusions to come out of a conference held at the RIBA was that though PFI had not necessarily been good for design, it had been good for facilities management. PFI means that FM, in the form of maintenance, management and operation of the building, has to be considered at an early stage, the architects concluded. Some might have felt the views being expressed were just a bit rosy. PFI was already a big theme for FM and related sectors when it was joined by another concept that would eventually have an even greater impact on business. Launching a series of workshops designed to help companies prepare for a coming 'tidal wave' of interest and requirement, the Institute of Directors declared that no business could afford to ignore sustainability. Interest was growing, the IoD said, and legislation would be along soon. By October, the part of the Chesterton saga that really interested the FM industry came to a conclusion with the purchase of the Workplace Management division by Johnson Service Group. JSG, which planned to spend just over £20m on the deal, saw it as a way to develop 'an immediate and strong presence in a growing market sector'. And in the same month, just to prove that things hadn't completely quieted down, protestors from five unions turned up at the annual BIFM dinner in London to make their feelings known about redundancies stemming from an Interserve contract with Liverpool City Council. Interserve had inherited the contract with its acquisition of Building & Property; the company denied it had mishandled the issue of job losses. Returning to more positive news, Erinaceous, the would-be 'one stop property shop', announced its intention to list on the Alternative Investment Market in London. The group had been growing fast – probably too fast, we would later learn – and it wanted to increase both its profile and its working capital to support continued growth. Finally this year, another award for i-FM. We were pleased to be presented with the President's Award at the Business Services Association's 10th anniversary dinner. Director-General Norman Rose said: "i-FM has set the standard for online news and information in the business services sector." With all due humility, we agreed. Again, the year opened on a sour note, at least in one area. Jarvis shares plummeted as the company admitted it would be hit hard by the loss of work following 2003's collapse of Network Rail. Jarvis said its Accommodation Services division was still winning work in the PFI market, though it was concerned about the costs of bidding. Later it became clear that drastic action would be needed across the group as it reported a loss of almost £250m. Meanwhile, Property, Housing, Cleaning and Facilities Management Skills, the recently formed sector skills council for our industry, announced a very welcome change of name. Asset Skills said it would be working closely with employers to raise awareness of career opportunities and to develop training and qualification frameworks. Senior figures at FM organisations pledged their support, including Ian Fielder, the newly appointed BIFM CEO. Those organisations also took a keen interest when Sir Michael Lyons reported the results of his review of government department location and operational efficiency. Lyons called for serious consideration of a decentralisation strategy and suggested that up to 20,000 civil servants should be moved out of London. His report remains on the table but appears to have had little impact so far. Early in the spring, ISS was back in the news – this time as the fast-growing independent player Coflex was acquired by the UK business. CEO David Openshaw said ISS had been particularly keen to bring in added skills in change management, procurement and finance management. A couple of months later, the ambitious property services group Erinaceous confirmed that it had bought ISGO, the FM and consultancy arm of design, build and fit-out group Interior, for £10m. The move was intended to strengthen the new owner's offering in commercial markets. For months, one of those stories simmering away in the background and occasionally erupting into full boil was Rentokil Initial – specifically, its financial performance and its strategy for the future. There had been some change at the top (long-time Chairman Sir Clive Thompson, 'Mr 20%', had been ousted along with the Chief Exec) and observers were waiting keenly to see if new man Brian McGowan will reveal plans to break up the group. Rentokil's silo business model seemed increasingly out of touch with market trends, and the company was clearly having trouble deciding which way to go next. Another 'background' story set to come to the fore was the Disability Discrimination Act, with new provisions due for implementation October 1st. But a wide-ranging long-term study by Workplace Law Group concluded that the vast majority of managers thought they were doing a much better job than they actually were in terms of achieving compliance. Professional qualifications in FM was yet another simmering story. We had commissioned an article looking at the various routes to a recognised qualification, including BIFM, IFMA and RICS, which mainly served to confirm two facts: the routes were confusing, varied in quality and often not well explained or promoted; and very few practitioners actually held any sort of qualification in FM. No surprises there, but a definite clarification of the need for action. Later, a roundtable meeting following up on two research reports, Rethinking FM (an initiative led by the BIFM) and our own Audit of the UK FM Market Sector, concluded that the facilities marketplace would remain inefficient and disjointed unless it started to take branding seriously. There was wide-spread agreement that work was needed individually and collectively to develop and promote the 'brand' of facilities management. Almost on cue, one organisation that seems to have got its branding about right - Serco - was named Britain’s most admired support services company and 6th most admired company in the country in a Management Today survey. Serco, a public sector specialist of course, must have also been pleased by the news that new market research was projecting a 50% growth over three years in public sector outsourcing. The Lyons Report (see above), as well as the recently published Gershon Efficiency Review, were expected to focus the minds of senior civil servants. The new year opened with two interesting property stories. First, Mowlem announced that it had recruited two senior property experts with the intention of launching a corporate real estate services business. MD Liam Cummins said it was a key move towards the company’s vision of providing customers with 'a genuinely integrated asset management solution'. Then when the Royal Institution of Chartered Surveyors published its first Tenant Satisfaction Index we learned that in fact tenants were generally not very happy with the services they were receiving. Overall, the satisfaction score was just 39 out of 100. Landlords didn't have a clue about treating tenants as valued customers, was the message from RICS Chief Executive Louis Armstrong. Then Mowlem was back in the news when it reported a £7.4m loss for the year. To address the situation 'extensive organisational and structural changes' were underway, the group said. Situations like that often catch the eye of would-be buyers. Catching that eye for other reasons was support services group MacLellan, which confirmed it had received a preliminary approach. But within a few weeks, we were told no deal was in the offing. In the meantime, market rumour had focused on utilities sector specialist Spice Holdings as the possible suitor. Following weeks of rumour in the marketplace, Carillion confirmed it was to buy Planned Maintenance Group for £40m. The group, with its principal subsidiary PME, was one of the UK's few remaining independent building services and maintenance companies and Carillion thought it would be 'an excellent strategic fit'. More big market news as Johnson Controls confirmed it was to acquire USI Companies, described as the fastest growing real estate services firm in the US. JCI paid about £44m and said it would use the skills acquired to help respond to customers 'asking for a single-source supplier for all of their real estate and facility management requirements'. At about the same time, the ISS Group said it had near-unanimous shareholder support for a private equity buy-out deal that would see the company exit the Copenhagen Stock Exchange. 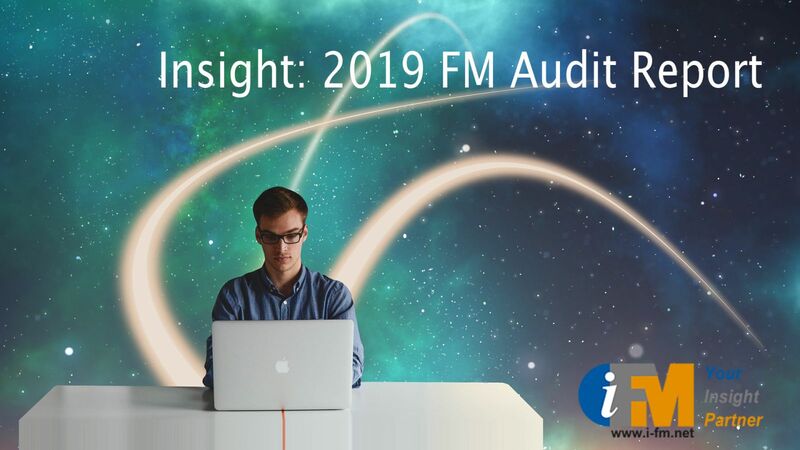 With so much action in the marketplace, we felt it was time to review and revise our established ranking system – which led to the introduction of the i-FM Top 50 (it had already moved up quietly through 30 and 40). The expanded benchmark reflected the scale and changing composition of UK FM. At the time, it captured a collective turnover of almost £13bn representing a workforce of more than 300,000 people. More big market news followed with a £600m private equity buy of support services group PHS. The deal had an interesting angle: Charterhouse, the investment firm involved, had owned PHS once, had engineered its stock market flotation and was now buying it back. As all these companies were thinking about how to keep growing, none of them would have been surprised by research findings released by the Office of Government Commerce. Billions of pounds were being wasted every year as a result of poor bidding procedures. The Major Contractors Group agreed, singling out the PFI process as particularly slow and inefficient. The man in charge of the comparatively new Building Schools for the Future programme said he recognised the problem and it would have to be addressed….. Meanwhile, the BIFM and colleagues from the Facility Management Association of Australia and the International Facility Management Association met to progress the formation of Global FM. The alliance of membership organisations was conceived as 'a single entity speaking with one voice to promote the facilities management profession' around the world. They were still working out the details but a website had already been established (reminding us what it takes to make something real these days). Towards the end of the year the rumour-mill was working overtime churning out stories about Mowlem: someone was going to make an offer – perhaps Vinci? As is so often the case, the mill was right on the big idea but wrong on the details. Carillion finally confirmed that it was doing a deal that would put a value on Mowlem of about £290m. Carillion Chairman Philip Rogerson described the move as a new stage in Carillion's development and the next step in its successful strategy. Once again the year opened with bad news as Compass reported that it had uncovered 'irregularities' in its contract dealings with the UN in New York. In more encouraging news the BBC announced that its shortlist was down to three; Alfred McAlpine landed its largest assignment – providing FM services for the Mapeley property outsourcing contracts; and Interserve landed a £100m deal in Cyprus. It wasn't long before the BBC confirmed that it had selected Johnson Controls as its FM partner. Wrapping up another loose end in the first quarter of the year, MITIE confirmed that it was to buy the Rentokil Initial security business, pushing its own guarding services to the number 2 spot amongst UK providers. Then MacLellan was back in the frame as an acquisition target. It soon became clear that Interserve was going to be the new owner. And in a landmark move in a parallel sector, Regus, still the biggest flexible workspace operator, bought back its UK operation, which had been sold off when the company found itself in trouble a couple of years earlier. The spring saw two health-related issues taking centre stage for a while. A local council employee faced a retrial in the Barrow Legionnaires disease case: she was ultimately acquitted on manslaughter charges and subsequently opted for early retirement; the council had already pleaded guilty to health & safety violations. At the same time, amongst general criticism of UK plc for its failure to take business continuity planning seriously, the prospect of a bird flu epidemic produced nothing more serious than a flurry of guidance reports from a raft of advisors and organisations. Over the summer, EC Harris and Cushman & Wakefield unveiled a joint venture offering comprehensive FM and property management services – the latest in a series of moves in both business sectors that suggested convergence might be the coming trend. i-FM organised the first conference dedicated to exploring the possibilities. It ran in conjunction with the Total Workplace Management show in October. As autumn settled in, the dedicated band of IFMA members in the UK received a rude surprise when the US headquarters emailed them to say it was pulling the plug on their local chapter. Henceforth they were to be known as the BIFM International SIG. Over the course of the previous year, IFMA and the BIFM had appeared to develop a working relationship that would protect the unique identity of the UK Chapter – or so the local members had been led to believe. Then later in another sign of that property and FM convergence might be the future, ISS Coflex and property consultant Donaldsons announced the launch of Spectrum IPS, a new joint venture aiming to deliver integrated estates and facilities management services. The idea failed to generate any new business, and in any case Donaldsons later agreed to be taken over by the much larger DTZ. The mood at the end of the year was all about change. Hamilton Comely, MD at Workplace Management since its acquisition by Johnson Service Group in 2003, departed. Over at AMEC new Chief Executive Samir Brikho announced plans to sell the built environment businesses which it had been decided were now non-core. And Certainty Group confirmed that it was to be acquired by commercial interiors and property services company Work Inc to form a £40m joint operation covering architecture, interiors, office services and facilities. Good news to start this year. Incentive FM's support services operation landed open-ended cleaning contracts at two London healthcare organisations. On a somewhat bigger scale, Serco was appointed preferred bidder for a five-year £50m MoD contract in Gibraltar. Bigger still, Metrix, a joint venture between Land Securities Trillium and defence technology company QinetiQ, was named preferred bidder on Package One of the £10bn Defence Training Rationalisation programme. It was also named provisional preferred bidder on Package Two. Also early on, the former Director General of the Met Office declared that climate change was inevitable and we should prepare for the consequences. No doubt it was a coincidence that Alfred McAlpine acquired the Enviros Group, one of the UK's largest independent environmental consultancies, for £30m. On the professional development side, the Facilities Management Association and the Chartered Management Institute signed a Memorandum of Understanding making chartered status available to FMs with a management background. Back on the commercial front, Johnson Controls took another step in the 'internationalisation' of its business with the unveiling of its 'Global WorkPlace Solutions' offer, intended to meet demands from businesses for a single supplier who can deliver integrated workplace services wherever and whenever needed. It then promptly added to its resources with the acquisition of London-based property advisers Fulcrum Corporate Real Estate Limited. Alfred McAlpine announced that it had pushed group revenue up by 5% to £1,123m for 2006. Underlying profit before tax was up 4%. These figures were before allowing for the impact of previously reported 'irregularities' in its slate business - which had a net impact of over £40m. Good results in some parts, not so good in others; acquisitive competitors would take note. Speaking of businesses that had been in trouble (that's a reference to the Chesterton parentage of JWML), contracting group Jarvis – yes, they were still in the facilities business - reached a deal to exit four of its remaining FM contracts as a part of its long-running recovery strategy. The Accommodation Services division continued to run a number of PFI schools. Also on the public/private front, it was confirmed that Metronet was in trouble. Balfour Beatty and WS Atkins, both stakeholders in the London Underground PPP, reported that they were making provisions against anticipated losses. And from the continent came news that Pirelli RE, the Italian tyre manufacturer's real estate division, had launched an integrated facilities management operation and was planning to become a major player in the market – extending from its base in Italy into Eastern Europe, then moving west initially into Germany. About a year later, they would decide it was not such a good idea after all. Back home it was becoming clear that the heyday of the PFI healthcare market may have passed. The University Hospitals of Leicester NHS Trust said that it would not proceed with a John Laing and Serco scheme because the cost, at £921m, was too high. In other public sector news, Bradford Council's decision to abandon a 20-year property and FM outsourcing plan saw former preferred bidder Carillion launching legal action on the basis of £40m in lost profits. Harrogate-based projects to FM group Operon unveiled a new structure following its merger with Icelandic property management company Nysir. Seven new divisions would, the group said, enable it to deliver single or integrated services in a global environment. Between them Operon and Nysir have operations in the UK, Ireland, Iceland, Denmark, the Middle East and North Africa. Carillion, a big force in UK FM (and later to get bigger), confirmed that it was enjoying the 'Mowlem effect' with group revenue showing a jump of 12%. At the half-year, support services revenue was up 26%. The decision to buy Mowlem was looking like a good move. Also looking like skilful players were CBRE and Jones Lang LaSalle. Both made it into the Fortune magazine list of fastest growing companies, with revenue growth rates of 33% and 28% respectively. Earlier in the year, CBRE, which had previously swallowed up competitor Trammell Crow, was named top brand in real estate. Elsewhere in the property world, Land Securities revealed it was considering splitting off its Trillium division in order to unlock shareholder value. Landsec was already saying that the UK commercial property market had probably peaked. How right they were. Also adjusting its structure in a different but equally fundamental way was Faceo, the French-based FM group. Founding joint shareholders Cegelec and Thales, who remained clients, decided the time was right for Faceo to go its own way. An MBO was engineered, backed by private equity investors Apax Partners. More transactional news followed with the announcement that social housing specialist Connaught was set to acquire health and safety services group National Britannia in a £91m deal. Connaught is a major player in its own sector, now with an expanding presence in compliance services – and has an eye on the broader FM market. At the same time, Alfred McAlpine confirmed market rumours that it was next on Carillion's wishlist. But the price offered was too low – and besides, McAlpine said, it was getting on with its own plans for taking the business forward. But those guys at Carillion clearly talk a convincing game. McAlpine was soon confirming that they were in and carrying out due diligence. A plan had been agreed, based on the 'excellent strategic fit' between of the two companies, and an acquisition timetable was being discussed. By the end of the year a £570m would be agreed. At the same time, the British Property Federation was warning that government delay in introducing Energy Performance Certificates was leaving building occupiers facing a tight timetable to achieve compliance with the law. The BPF also shared the worry of CIBSE and others that there were not enough qualified people around to carry out the reviews that certificates require. The Reliance group greeted 2008 with the announcement that Monteray – the jv which provides services to BT – had won a contract extension that would see Reliance Security Services handling its biggest ever commission. Also winning big deals was Sodexo, which signed a seven-year agreement with the MoD to manage the Wales and West Midlands Super Multi-Activity Contract. i-FM's inaugural Workplace Futures conference was held in January – a well attended and highly praised event. One attention-grabbing piece of news to emerge was the prediction from Jones Lang LaSalle that up to a dozen multi-nationals would be looking to appoint partners for the delivery of integrated property and facilities services across their portfolios in 2008. In 2007, one market commentator had tipped JLL, CBRE and Johnson Controls as the main contenders for such deals. Within a month, as if to confirm that JLL had spoken with some knowledge about international deals, news came through that CBRE had won a massive contract with Hertz covering property and FM services to 3000 locations in North America and Europe. Hertz said the contract was aimed at controlling costs, increasing efficiencies and re-engineering processes to improve profitability. That wasn't the only piece of research offering some interesting results. Findings from the i-FM 2008 Audit study revealed surprisingly weak recognition of supplier brands amongst buyers. MITIE, Johnson Controls, ISS, OCS and Rentokil Initial topped the lists. But MITIE's number one position was achieved with less than 10% recognition. Clearly, there are still huge opportunities for suppliers to develop and implement brand awareness strategies in order to build dominant positions in UK FM. One company striking out in this direction was Europa, previously best known for soft services, but now announcing the acquisition of United Utilities FM. That deal turned Europa into a £60m group with multi service capabilities. Its avowed strategy is to become 'a leading facilities management business'. Spring brought two signs that slowdown in the wider economy was beginning to bite: Rentokil Initial and Taylor Wimpey were both downgraded from the FTSE 100 to the FTSE 250. RI's problems were ongoing, and TW was beginning to be hurt by the collapse of residential property markets both in the UK and the US. It wasn't long before speculation turned to the possibility of a sale for Taylor Woodrow Construction, parent of Taylor Woodrow FM. Spring is a time for new ideas, and from who better than three of FM's most energetic characters? Martin Pickard of FM Guru, Oliver Jones of The Asset Factor and John Davis of FRL announced the arrival of The Asset Faculty, a joint venture designed to meet the demand from the sector for outsourced training and development. As well as creating and managing clients’ own 'academies', The Asset Faculty planned to offer a range of training courses and programmes for client and provider organisations. Also at this point came news of another one of those big cross-border deals. Computer giant HP appointed ISS on a contract for integrated facilities management in its Europe, Middle East, Africa and Asia Pacific Japan regions. Johnson Controls won an extension from HP that saw its US and Canada responsibilities extended to Latin America. Later, the low-profile service provider GSL, specialist in things like prisoner transport and management of secure facilities but also provider of FM to places like GCHQ, was bought by security group G4S in a £355m deal. G4S, which is already a worldwide business, said it wanted to broaden its service range. There was plenty of bad news around in terms of the global economy, but even a downturn can be good for some. Two reports found the outsourcing sector looking as strong as ever, with good prospects for continued growth. Those twin drivers, reduced costs and greater efficiency, were looking more and more important. Carillion, for one, was benefiting: as its support services figures had benefited last year from the 'Mowlem effect', this year saw the positive impact of the 'McAlpine effect'. Pushed by market weakness on the one hand but looking forward to strengths on the other was Taylor Woodrow Construction, which changed hands as predicted, along with Taylor Woodrow FM, moving to Vinci plc for a cash payment of £74m. As economies around the world lurched from crisis to crisis, facilities managers appeared to be stirred but not shaken here in the UK. 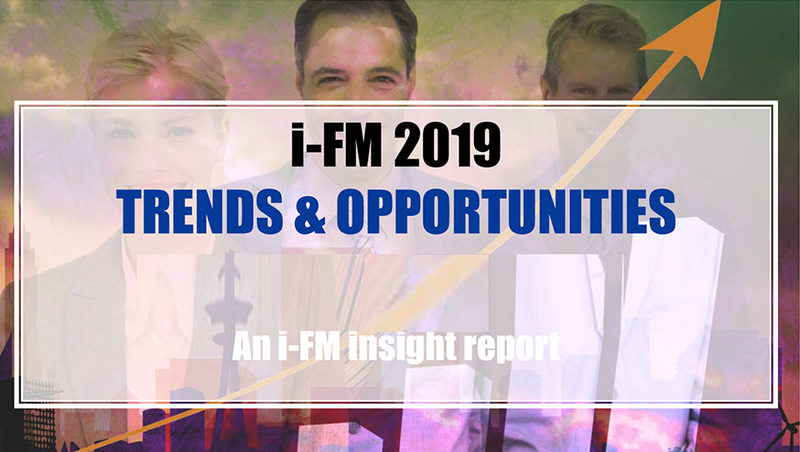 In an exclusive i-FM Business Confidence Survey, we found that most FMs perceived the commercial environment to be holding up well – and they expected it to stay that way for the foreseeable future (we had asked them to project forward six months: who knew things could change so fast?). FMs are used to working under pressure, of course, and this may help to explain the widely held 'business as usual' view. In a bold move that showed quite a bit of confidence, Haden Building Management was re-branded as Balfour Beatty WorkPlace. With that came a new commitment to broad-based FM (Haden had bought Covion in 2007) and a plan to more than double turnover within five years. At the same time, stories were emerging of at least one PFI investor struggling to manage projects already on its books, as well as the European Investment Bank being approached for 'rescue' funds to back Building Schools for the Future projects. While both schemes offer the prospect of work to companies in the built environment sectors, and continued investment is a part of CBI and government recession-busting strategy, there are problems. Land Securities Trillium quit the winning consortium on a huge MoD training contract because its costs were sky-high and climbing; and Mouchel said it was reconsidering its involvement in schools because of the BSF programme's 'lengthy and costly procurement model'. Perhaps in part because of news like this, EC Harris came to the conclusion that a 'structural shift' was underway in the marketplace. Arguing that 30% of professional services firms will no longer exist in their current form by 2011, this one launched a new business plan that will see it reshape operations around a built asset consultancy strategy focused on bringing more creativity, greater value and a closer working relationship to clients. On that basis, the firm is aiming to push both headcount and turnover up by a third over the next three years. No doubt, strategies were getting a re-think right across the sector. Good news from one of the market research firms with confirmation that the demand for outsourced bundled facilities services had been growing steadily over recent years within both central and local government. The former was labelled the more mature market and the latter was named the better prospect for good growth going forward – subject to decisions about future spending policies, of course. Will tight public finances be good for the facilities sector or not? It's far from clear; and doubts were creeping in even about some of the spending programmes that the government had recently been touting. A committee of MPs warned early in the year that Building Schools for the Future, for example, could be curtailed to cope with the 'much more austere future'. But not long after, the Office of Government Commerce took another step in its campaign to raise the public sector's game in asset management by making the use of a new self-assessment tool for Whitehall property managers preferable, if not exactly mandatory. And there was positive thinking in another quarter, too. Chris Hoar, newly appointed Director General of the Facilities Management Association, commented: "This is a tough period in the world economy and for the UK, but I have great optimism for the durability of companies working in the FM sector." Still only January and there was news of one more big change in the FM landscape. Land Securities, under pressure in its main property investment business, revealed that it had finally concluded long-running negotiations to sell its Trillium division. The buyer was Telereal, a very similar business, now considerably bigger following an investment of £750m. Before the month was out, Trillium would also be confirming that it would no longer bid for PFI projects - the process takes too long and costs too much, the firm said. In the context of challenging market conditions (a favourite expression these days, especially in the City, and generally meaning 'we have no idea what's going to happen next'), the 2009 Workplace Futures conference, organised by the FMA and i-FM, tackled one set of issues critical for all FM companies: how to get marketing strategy and tactics right in order to cope now and also be well placed for upturn when it comes. A well attended, and very well received, day. Next, three big moves that will definitely have an impact on the futures of the individual companies. Sodexo recruited Neil Murray, ex GSH, for the newly created role of Managing Director of its facilities management division. His appointment came as part of a restructure that brought the various FM operations together in a single place. Meanwhile over at GSH, it was announced that the company intended to cancel its listing on the junior market, the AIM. The move was driven by majority shareholder Ian Scarr-Hall, a member of the founding family and holder of nearly 84% of the total voting rights, who had decided that going private was the way forward. And then, spotting another opportunity for growth, Europa bought FM business Work Facilities and project business Work Services, two divisions left standing when parent Work Inc fell into administration. And that's where we leave this round-up, confident in just one fact: FM is never dull.